One of the most frustrating things about new atheists is their use of slogans, rather than arguments, to convince people to listen to them. This book comprehensively shows how their position is not reasonable and rational simply because they say so. Nor can they make Christianity irrational by fiat. 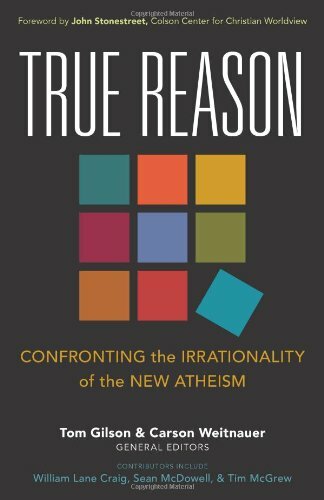 True Reason starts by documenting some of the major arguments used by new atheists like Dawkins and Harris, and assesses them for the qualities new atheism claims to embody: reason, logic, rationality, scientific investigation and so on. This is an inspired way to open the book. It is humorous, because it hold Dawkins’ and Harris’ own arguments (even their own words) up to the bar they themselves have set, and shows how comically short they fall; but it is also serious, because from the very outset it leaves no room for doubt that the image of intelligent, carefully-researched opposition to religion which they project is a pure sham. Subsequent chapters step us progressively through the various ways in which metaphysical naturalism—the foundational assumption of new atheism—undermines itself; before moving us into various new atheist critiques of Christianity itself, to show how and why these fail, and what the truth of the matter actually is. Each chapter is an essay by an individual apologist, and each is strong in its own right—however, because they are separate papers arranged topically, occasionally I felt like the book meandered a little and repeated itself unnecessarily. This is not a serious drawback, especially if you just want to brush up on one or two topics instead of reading it beginning to end; but it’s worth mentioning for people who are looking for something more systematic. However, the whole book is a powerful summary of the major arguments against the new atheist worldview; the major ways in which they misrepresent or falsely attack Christianity; and several of the more powerful arguments for the truth of the Christian worldview. It is an excellent book for Christians who are new to apologetics and want a single primer that will offer well-rounded instruction on all the issues they’re likely to face against atheists. But it will be equally helpful to experienced apologists who want a quick-reference manual to keep on hand for future debates. Although I would not strictly endorse everything in it (for instance, I think Matt Flannagan overstates the case against taking the extermination of the Canaanites literally), it is an exceptional resource for understanding how irrational and implausible new atheism is compared to Christianity. 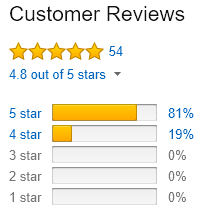 Buy True Reason on Amazon. 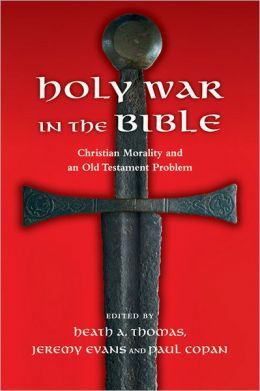 Holy War in the Bible: Christian Morality and an Old Testament Problem comes out next month. Edited by Heath A Thomas, Jeremy Evans, and Paul Copan, the book offers a constructive response to the issue of divine judgment and religious violence by drawing upon biblical, ethical, philosophical and theological insights. We’re excited to see the collection of essays also includes a chapter co-written by New Zealand theologian and philosopher Matthew Flannagan (you can read his chapter online here). These controversial yet theologically vital issues call for thorough interpretation, especially given a long history of misinterpretation and misappropriaton of these texts. This book does more, however. A range of expert contributors engage in a multidisciplinary approach that considers the issue from a variety of perspectives: biblical, ethical, philosophical and theological. While the writers recognize that such a difficult and delicate topic cannot be resolved in a simplistic manner, the different threads of this book weave together a satisfying tapestry. Ultimately we find in the overarching biblical narrative a picture of divine redemption that shows the place of divine war in the salvific movement of God. A Shot of Faith (to the Head): Be a Confident Believer in an Age of Cranky Atheists by Mitch Stokes (Thomas Nelson, 2012). 272 pages. “. . . A Shot of Faith to the Head takes the best tools of top-notch apologetics and philosophy and puts them in the hands of every believer. Even better, it’s easy and fun to read, winsome, witty, filled with sharp thinking, and well-researched. As a professor and pastor, I’ll be assigning this book in my apologetics courses and would recommend it to every Christian. 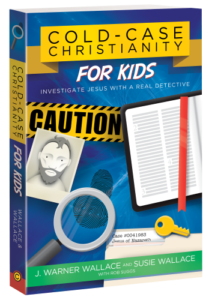 It displays strategic answers to questions and objections every Christian has encountered.” – Justin Holcomb, pastor, Mars Hill Church and adjunct professor of theology, Reformed Theological Seminary. Inerrancy and Worldview: Answering Modern Challenges to the Bible by Vern Poythress (Crossway, 2012). 272 pages. Atheism’s New Clothes: Exloring and Exposing the Claims of the New Atheists by David H. Glass (InterVarsity Press, 2012). 336 pages. (Visit the author’s blog here). Why Jesus? : Rediscovering His Truth in an Age of Mass Marketed Spirituality by Ravi Zacharias (FaithWords, 2012). 304 pages. In Why Jesus?, the popular apologist examines humanity’s deep spiritual hungers and the common solutions presented by mass-marketed leaders of pop spirituality (Deepak Chopra, Oprah Winfrey, Eckhart Tolle, and so on). Ravi Zacharias exposes the empty promises of those who peddle spiritual advice at the expense of careful thinking and experiential wisdom. The book shows why issues of exclusivity, authority, and relevance are always pertinent to conversations about spirituality, and ends with a plea for people to understand Jesus as Truth. – Trevin Wax, Managing Editor of The Gospel Project at LifeWay Christian Resources and author of Counterfeit Gospels: Rediscovering the Good News in a World of False Hope. Whatever your views on his theology, it’s hard to deny the fact that N.T. Wright presents theology in a gripping and fascinating way. Whether he is addressing the nature of heaven in Surprised by Hope or the attractiveness of the Christian life in Simply Christian, Wright finds it impossible to write a boring sentence. One of the most influential and prolific New Testament scholars of our day, the Anglican theologian is gifted at distilling oceans of Biblical scholarship into vivid, clear, and understandable prose. His latest book Simply Jesus: A New Vision of Who He Was, What He Did, and Why He Matters, brings all that technical expertise to bear in presenting a compelling new picture of who Jesus was and how we should relate to him today. Wright maintains that many Christians have minimized and misunderstood Jesus’ story. As a result, the kingdom of God has been reduced to private piety, the victory of the cross to comfort for the conscience, and Easter to a happy, escapist ending after a sad, dark tale. While piety, conscience, and ultimate happiness are important, Wright argues these things are not nearly as important as Jesus himself. In Simply Jesus, Wright takes us back to the Gospels and to Jesus’s public career, his accomplishments, his death, resurrection and ascension. In investigating these events and their meaning, Wright intends to reveal a Jesus who is larger, more disturbing, and more urgent than we ever imagined. The church has a desperate need for Bible scholars who are able to retell the story of Jesus in a way that rouses hearts and quickens consciences where they have become dull to the good news. No doubt there will be some quibbles with Wright’s portrait and we may not agree with how he frames every theological idea, but that said, Simply Jesus looks to be a good book to help readers rediscover Jesus and a life in which “following Jesus” makes sense. Simply Jesus: A New Vision of Who He Was, What He Did, and Why He Matters is available from Amazon and Christianbook.com. Joseph E. Gorra interviews Garry DeWeese, Professor of Philosophy of Religion & Ethics at Biola University’s Talbot School of Theology and author of the new book, Doing Philosophy as a Christian. I highly recommend reading or listening to this book. 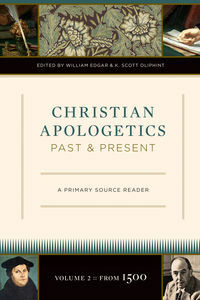 The second volume of Christian Apologetics Past and Present: A Primary Source Reader (Crossway 2011) comes out this month. Edited by William Edgar and Scott Oliphint, the reader collects important texts in the history of apologetics from the Reformation to the present. The volume is divided into four parts: (1) The Reformation, Post-Reformation (Protestant), and Catholic Reformation; (2) Modernity and the Challenge of Reason; (3) The Global Era: Christian Faith and a Changing World; (4) Issues Today and Tomorrow. At Crossway Books you can read the sample pages, which include the table of contents, introduction, and the first chapter. It’s a 700-page hardcover. Each section contains a general introduction, with an additional preface to each apologist and their primary material. Each source text is then followed by questions for reflection or group discussion. This is a handy resource. With the current revival of interest in apologetics, it behooves us to understand the historical context of the discipline and how our fathers in the faith responded to the intellectual challenges facing them. Volume 1 (which traces apologetics from the early church to 1500) is also available on Amazon and Crossway. Carolyn Weber talks to Trevin Wax about her new book Surprised by Oxford, a memoir describing how she became a Christian during her time at Oxford University. Here are a few notable book reviews published in the last week or so. For more reading, check out the latest issue of Themelios, which has a nice collection of reviews. G. K. Chesterton once wrote, “We all feel the riddle of the earth without anyone to point it out. The mystery of life is the plainest part of it.” He was right; there is nothing more basic to humanity than the desire to unriddle the mystery of life. Life’s Biggest Questions is a new book intended to help readers do exactly that. 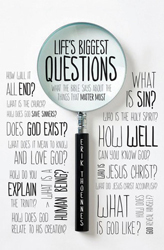 Written by Erik Thoennes, a pastor and professor of theology at Biola University, the book raises sixteen fundamental questions (e.g. Does God exist? What is God like? Who is Jesus? What is a human being?) and offers snappy but Biblically solid answers in response. 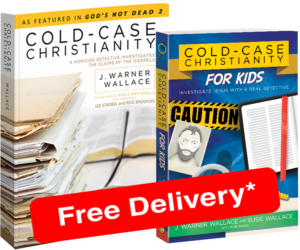 Less than 200 pages in length, the book’s strength is its readability and clarity – distilling complicated doctrines of the Christian faith into easily accessible chapters. The book also contains several charts and illustrative material to make the information easy to digest and with questions for application and discussion at the conclusion of each chapter, Life’s Biggest Questions is an ideal resource for small groups. 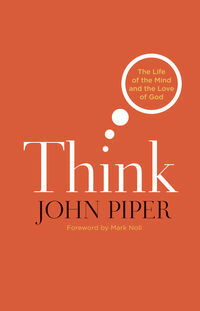 Because the book is primarily an introduction to theological questions rather than apologetic questions (e.g. Is faith opposed to evidence? Are miracles possible? Why can’t Christianity be true for you, and Buddhism true for me?) the book wouldn’t be my first choice to put into the hands of a skeptic or someone who is grappling with objections to Christianity. However, for new Christians or those who have had some exposure to Christianity and want to know more, or even mature Christians who are looking for concise ways to talk about what they believe, this book is a valuable resource. You can find out more about the book here (including a sample of the first three chapters). To hear Erik Thoennes talk about the book, you can listen to his interview with Greg Koukl on the Stand To Reason radio program here (skip to 01:54:01 for the interview). Few sentences have had as great an impact on evangelicalism in the late twentieth century than the opening of Mark Noll’s 1994 book, The Scandal of the Evangelical Mind. “The scandal of the evangelical mind,” he wrote, “is that there is not much of an evangelical mind.” For many, the book was a wake-up call to the anti-intellectualism of the church and the state of evangelical scholarship. Seventeen years later, the Francis A. McAnaney Professor of History at Notre Dame returns to the topic in a new book released this month: Jesus Christ and the Life of the Mind.